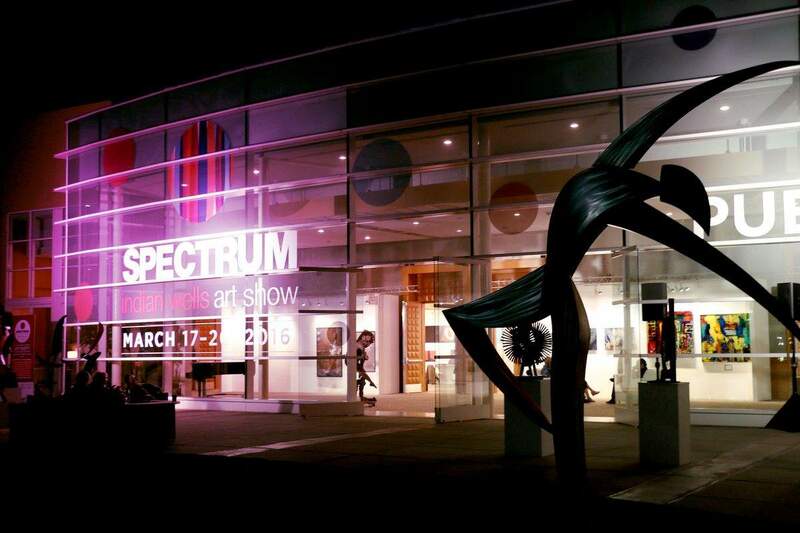 For four days in March, between the 16th and the 19th to be precise, the Coachella Valley will host the second edition of SPECTRUM Indian Wells, a curated contemporary art show owned and produced by Redwood Media Group. World-renowned galleries from around the globe, an array of multi-faceted programs, site-specific projects, art talks, emerging and established artists alike; these are only some of the things the visitors of the event can expect, after a highly successful debut last year. As such, SPECTRUM Indian Wells will fit perfectly in the luxurious, gorgeous Coachella Valley, which also hosts the renowned BNB Paris Open and tons of entertainment events for everyone. 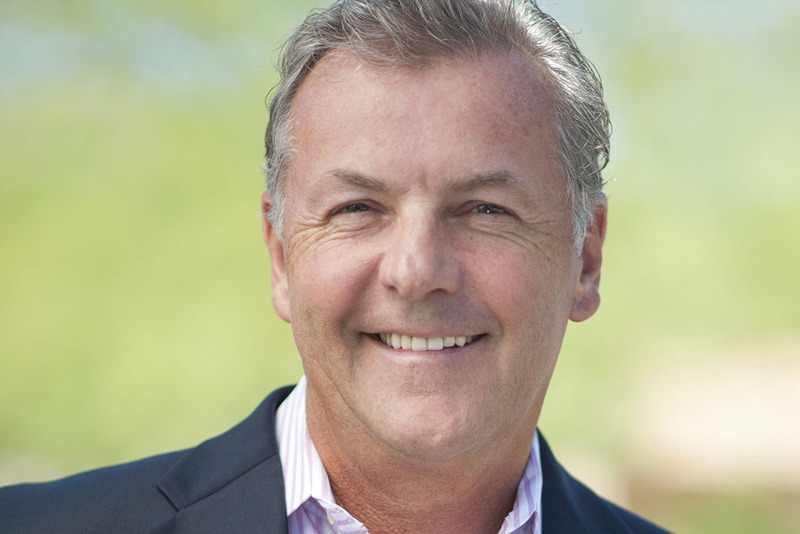 About this year’s edition of the fair, which will take place at the Renaissance Indian Wells Resort & Spa, we talked to the president and CEO of Redwood Media Group, Mr. Eric Smith. Widewalls: What can you tell us about this year’s SPECTRUM Indian Wells? How is it different from the debut edition? Eric Smith: This year, Spectrum Indian Wells will feature the [PLATFORM] Awards Art Lab where attendees will be able to vote for their favorite artwork from the 10 Finalists on display. The Popular Vote will culminate at Artexpo New York in April when the winner of the Popular Vote will be announced. Our Spotlight Artists Program providing collectors a focused look at several cutting-edge artists who will each be creating a site-specific exhibition will feature artists Fabian Perez, Tom Boatright, and Lisa Ashinoff. Meet the Artist sessions will immerse the audience with the artists, giving them the opportunity to learn about each artist’s inspiration, story, and in many cases, see the artist do a live demonstration, creating their next work of art. This year’s Art Talks will offer attendees an inside look at the artistic experience by way of panel discussions and conversations with painters, sculptors, and art-industry professionals. We are partnering with two local non-porfits, the Desert AIDS Project and Big Brothers Big Sisters of the Desert, to not only give back to the community but also incorporate the community into the lively art world of the Coachella Valley. Saturday, March 18, has been designated as the Big Brother Big Sisters of the Desert Day at the show. Bigs will get to bring their Littles to the show for a “meet the artists” event, including lunch and an up-close-and-personal experience seeing live art demonstrations by the exhibiting artists. 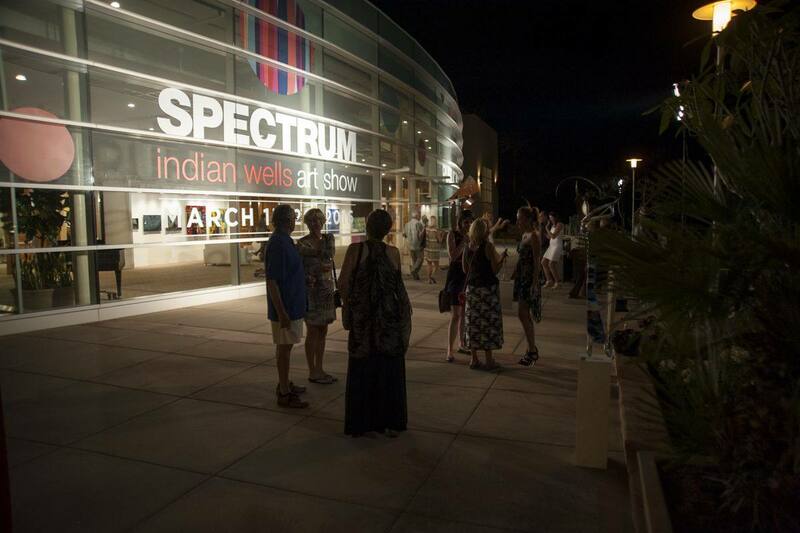 During the evening, Spectrum Indian Wells will host a reception for the Bigs, during which they will get a chance to socialize, have a glass of wine, and meet an international slate of artists and gallerists. The Opening Night Preview Party on Thursday, March 16 will benefit the Desert AIDS Project. Spectrum Indian Wells is supporting the Desert AIDS Project with an exhibition booth at the show to represent the artists in their Art Gallery Program. The Art Gallery Program started in 2016 as part of the Personal Development and Wellness services they offer their clients. Widewalls: Which site-specific projects can the visitors expect on site? ES: The Spotlight Artists, Fabian Perez, Tom Boatright and Lisa Ashinoff will be creating site-specific exhibitions. 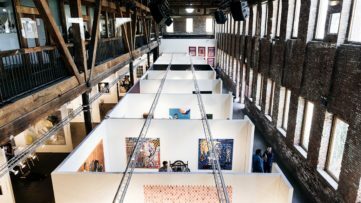 Widewalls: What are the advantages of the gallery-style exhibition space within a fair? ES: Gallery-style exhibitor space features 10’ high walls, spacious aisles, and LED lighting, all of which gives the exhibitor the opportunity to display artwork in the best possible environment. Of course, in turn the show audience has a more enjoyable experience and is able to view the artwork much as they would in a gallery. Widewalls: What can you tell us about the state of the art market in Coachella Valley? What did SPECTRUM bring to it? ES: The art market in the Coachella Valley is very much alive and well. 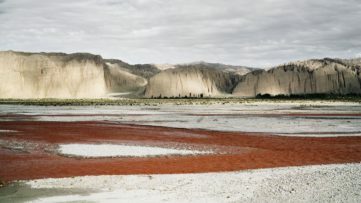 In addition to the diverse range of art in the Palm Springs and Palm Desert galleries, there is so much to see here especially this year with Desert X, the Palm Springs Art Museum and more. The area is developing as a destination for art—we’re receiving ticket requests from many collectors outside the Coachella Valley, very exciting! 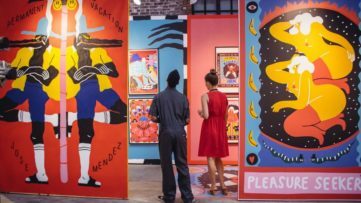 Widewalls: Where do you see this fair in the future? Any plans for the next edition already? ES: We see the excitement and growth for the Spectrum Indian Wells show now and into the future. All images courtesy SPECTRUM Indian Wells.